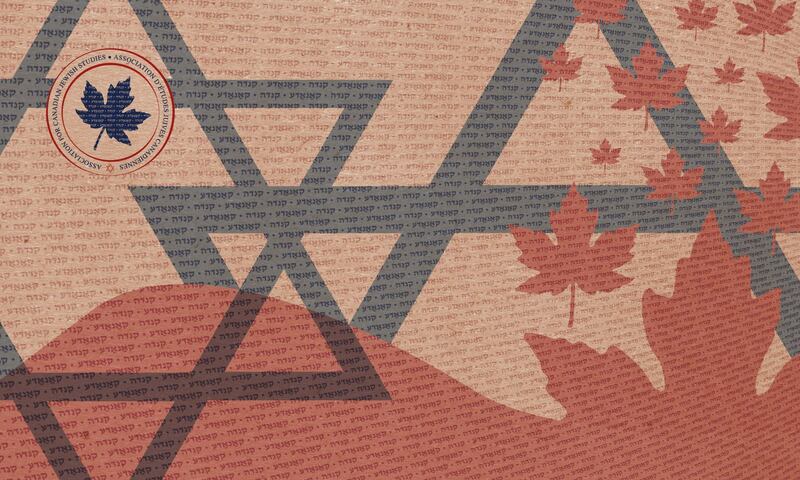 The ACJS is pleased to post information on events related to the Canadian Jewish experience. Please send us notices of events and we will be happy to share them here. Click here to contact the webmaster! The ACJS will also be happy to co-sponsor events with Canadian Jewish content by promoting them through our social media and website. The first ever conference on Canadian Holocaust Literature will be held in Ottawa on October 27 and 28, 2018. You are cordially invited to the opening panel on Saturday evening at the Soloway Jewish Community Centre, when author Nate Leipciger will reflect on the process of writing and producing his survivor memoir. The conference will continue on Sunday at Library and Archives Canada with panels devoted to Chava Rosenfarb and Bernice Eisenstein, and papers on poetry and prose, memoir and writing for children. The event is open to the public. For more information and to register for the conference, please visit https://www.eventbrite.ca/e/canadian-holocaust-literature-charting-the-field-tickets-48185452987. The Association for Canadian Jewish Studies has launched a new programming initiative to bring together scholars, students, the local Jewish community, and the general public to explore the diversity of Jewish life in Canada. See below for our line-up! Our events are open to all. See this in PDF form. Discussion led by Dr. Norma Joseph on her new article, “T’beet: Situating Iraqi Jewish Identity Through Food,” published in Everyday Sacred: Religion in Contemporary Quebec (McGill-Queens University Press, 2017). No cost, no registration required. Interactive North African and Middle Eastern cooking demonstration, in partnership with the Museum of Jewish Montreal and The Wandering Chew. More details to follow. Film screening of Felix and Meira, followed by a critical discussion facilitated by Dr. Steven Lapidus. Follow @ACJSaejc on Twitter and like the ACJS on Facebook to hear more about our events and programs! “First Nations – Jewish Encounters,” a lecture by Prof. David Koffman of York University, and an exhibit of the Canadian Jewish Experience, A Tribute to Canada 150 at the London, ON JCC, 536 Huron Street at 7:30 pm Saturday evening Nov. 18. The event is free and open to everyone. Earlier that evening, at 7 pm, a London Jewish Community Time Capsule will be assembled, and the program will be followed by a dessert reception. This program traces the key threads in the history of Jews’ encounters with First Nations, from Jewish merchants’ first interest and arrival in the territory we now call Canada to recent efforts at building solidarity around Reconciliation and the question of Jewish indigenousness in the Middle East. The program will be part primary-source study, part lecture; it outlines the times, places, and meanings of Jewish engagements with First Nations people and themes, and suggests that Canadian Jewish history can be seen as part of the long and troubling history of colonialism, not just the tale of immigrant challenges and achievements, as Canadian Jewish history is so often presented. Join us online at http://www.jewishlondon.ca and on Facebook at https://www.facebook.com/jcclondonontario. As your ACJS Programming Co-Chairs and Graduate Student Liaisons, we have planned 16 months of local Canadian Jewish Studies programming in Montreal. Our intention was to create programming that brings together scholars, students, the local Jewish community, and the general public to explore the diversity of Jewish life in Montreal, and we’re hoping that this will inspire future programming in other cities across the country. This year’s activities include walking tours, a cooking workshop, academic talks, community workshops, a film screening, and a reading group, with an emphasis on the experiences of Jewish women, Sephardim and Mizrahim, and queer Jews. Our first event is the Museum of Jewish Montreal’s new walking tour, Sephardic Spaces: Reshaping Jewish Montreal, on Sunday September 17th at 12:00pm. This two hour walking tour explores Sephardic history and experiences in and around Côte-des-Neiges/NDG, and tickets are $12 ($6 students and children). There are only 25 spots available, so be sure to sign up early in order to secure your spot. If you are interested in attending, please fill out this Google Form by September 10th at 12:00pm EST.